This week felt longer than usual. In a previous blog, I mentioned that this year I was going to let students use calculators during our ‘Rational Number Operations’ unit (doing all operations with positive and negative decimals and fractions). This unit has been a challenge to students in the past as we’ve never used calculators and they’d get caught up in some of the calculating. I know I have to revamp the unit a bit now that they can use the calculators. I am not so worried if they know the algorithms to add/subtract decimals, but I do want them to be fairly comfortable when working with fractions (mixed, improper, and proper). I actually withheld a bit of information from them on how to use their calculators; many of them didn’t know how to put in a negative sign. Instead, I challenged them to rewrite the expression in a way that you could input into the calculator ( you could write -14.5 + 3 as 3 – 14.5 ) in hopes to continue to feel comfortable commuting and manipulating expressions with both positive and negative numbers. Several students did figure out how to put in a negative (most of them were just trying to use the subtraction sign). Additionally, I didn’t want to really show them how they could throw fractions in parenthesis when working with them on their calculator. Instead, I still wanted them to be able to find common denominators, commute the numbers if need be, and have a good idea of what was going on. Some student calculators worked with fractions easily, even putting their answers in fractions. Hmm. I’m trying to navigate how to keep them from just blindly following whatever answer comes out of the calculator. I’m thinking for an assessment problem, I may just give a mixed fraction problem with the answer already given and have them explain how that answer could be obtained without the use of a calculator (common denominator, turn to improper or just borrow a whole, etc). Yeah, I’ll do that. Most students converted to decimals (I planned on that as these fractions turned to nice, clean decimals). Some students who wanted to break up the problem did the first two numbers together and got that correct, but on the second part did 5.8 + 8 = 13.8 and then subtracted 13.8 from the sum of the first two numbers. We talked about how they basically treated the 5.8 and – (-8) as if it were in it’s parenthesis and they subtracted that whole thing instead of just subtracting the 5.8. In other words, they did this problem instead: (-1.25 + 3.2) – (5.8 – (-8)). I did give them some problems with denominators of 3 and 7 and the few who did decimals ended up rounding and then converting their decimal answer to a fraction. We talked about why their answer was just a little bit different than those who kept the fractions. Not sure if I mentioned it in this blog yet but I’m the new Math Dept head at my school 🙂 I’m glad to have the position. The math department, while has been in flux this year, is really strong. There’s four of us altogether and two guys are new this year. Both doing great work in the classroom and I’ve been hearing positive things from students in both their classes. Part of the new responsibilities include representing the math department at the middle/high school level at various school events. I got to go down to the elementary school for a session for parents on what math looks like from pre-k to seniors in high school at Headwaters. Montessori math seems to be really excellent for seeing math visually. Would love to get more manipulatives at the middle school level. Being there also made me glad to be in middle school; remembering the days of having to prepare 5 hrs of lesson plans a day, having about 45 min off, working with the same kids all day. I like the variety of having 4 classes a day that meet every other day. So much less stressful for me. We had our second auction. They already are running super smooth and students can conduct the entire auction without my assistance and all items get paid for, no one is over bidding, and no one is trying sabotage or troll others by just trying to jack the price up. In my 6th grade math classes, I had students watch & take notes on a video I made a few years ago on the divisibility rules (any even number is divisible by 2, any number ending in 5 or 0 is divisible by 5, etc) for the numbers 1-10 for homework. Just about everyone did it in one of the classes so they were all able to work on the assignment, we were able to discuss it, and most had no homework for the weekend. Nearly no one completed the video and notes in the other class so much of their time was spent watching the video and taking notes while I worked with some of those who did complete it but needed help on the assignment. Most still had homework to complete for the weekend. Totally different vibes from both classes; one class really seems to buy into all that I present them with, the other seems to have a lack of focus as a whole. The class that struggles a bit more is much smaller as well; I guess numbers aren’t everything. I’ve been trying to keep them going at the same pace but I may have to slow it down a bit for the class that needs that. We had our first advisory lunch this week. It’s so funny that at that age leaving campus to have lunch with your advisory is pretty much the most amazing thing that can happen to you all week. It’s novel and you get to leave campus. Everyone seemed to enjoy themselves. Plan on doing more this year. I think we only did three all last year. Perhaps we’ll shoot for four or five this year. It’s not a huge hassle to set up as many places are walking distance and there’s a van I can use if we want to go somewhere else. Met with the head of the school. He confirmed that the school is willing to get a drone after the research I did this summer on academic applications of it. 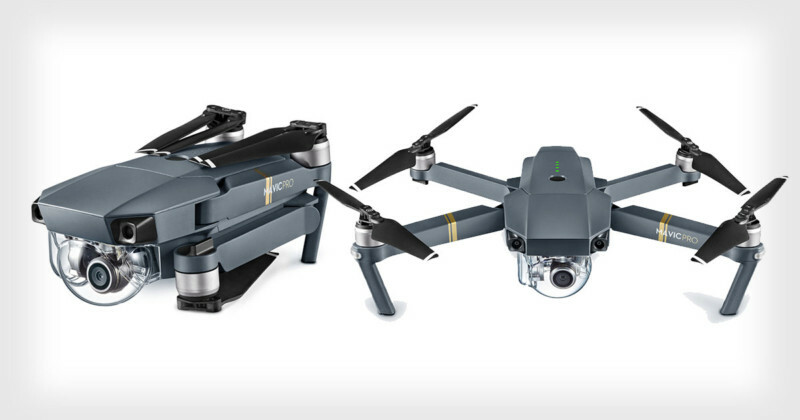 We’re going to get the DJI Mavic, which folds up to the size of something you could fit into a large jacket pocket. The Mavic comes out December 1st 🙂 Super stoked.